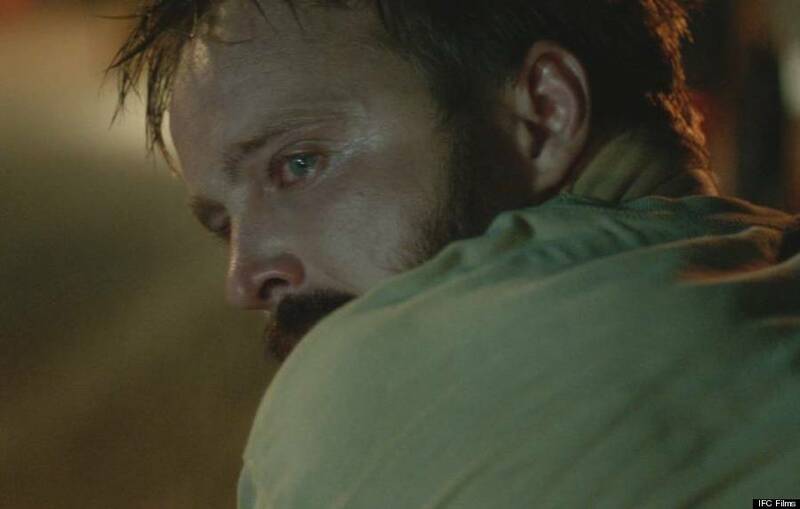 Aaron Paul has a new movie, and no, his character is nothing like Jesse Pinkman. In "Hellion," Paul plays Hollis, a former local baseball star and alcoholic father failing to give his two young sons much-needed attention. As Hollis is distracted by the recent death of his wife, spending his days away from home, his eldest son, Jacob (Josh Wiggins), channels his rage through vandalizing cars and lighting things on fire. Correct me if I’m wrong, but I think this is your first time playing a father. Aaron Paul: Yeah, to this extent. I did have a baby on a show I was on years ago, but it was only one episode and I just held the baby. But yeah, this is really the first time playing a father and it was great. It was strange, but it was fun. I love kids. My niece just had a baby. I have 16 nieces and nephews. The first one was born on my birthday when I was 12, so I’ve really been around kids my entire life. And these boys, with Josh Wiggins kind of leading the pack, it was such an incredible experience. Kat Candler: He's a natural at it. Seriously, when you get him in the room with the boys there's this kind of gravitational pull towards the kids. Aaron, how did you develop such a bond with them? Aaron Paul: Kat’s main thing was getting us together as often as possible. They were so easy to talk to. Deke [Garner, Paul's other onscreen son] was this charming -- he thinks he’s the lady’s man, and he really is. He just has this laugh. He had everybody wrapped about his finger on the set. Josh, he’s this old soul, this beautiful human being that it’s impossible not to love and get along with. Deke was in the original short, right? Kat Candler: Deke was the lead in the short. When I was making the feature I really wanted to concentrate on the older brother, who was the true hellion in the family. [Deke] and another actor were the only two from the original short. What did playing Hollis teach you about fatherhood? Aaron Paul: What not to do. [Laughs.] We kind of deal with loss and sadness in our own ways, but that’s why I really wanted to do this story. It’s just such an honest, beautiful story that I instantly connected to. I love Hollis, even though he’s not really there at the beginning for his kids and not really understanding that he still has two boys that desperately need guidance. There’s one heavy scene for your character in the film where he has a huge, emotional breakdown. How did you prepare for that? Aaron Paul: That was just one of Hollis’ breaking points. He’s been dealing with the loss of his wife for some time now. Now he’s just truly seeing his family being pulled apart in another way. I kind of put myself in that situation. I think that it was a late shoot. That was one of the scenes that was just easier to stay in it rather than going in and out. Did you do anything off set to get out of that headspace? Aaron Paul: I learned from being on a show that was so heavy for so many years [that] it’s good to just unzip that skin when you’re done and have a moment for yourself. Once it’s done you’re just excited that it’s done. Hollis is so different from Jesse Pinkman. What was it like to go from a major show to an action film with “Need for Speed” to this emotional indie? Aaron Paul: It’s great. Independent film is really where my heart is. It reminds me of what it’s like to work with a small family. Doing big-budget action films, it's a very collaborative thing, of course, but it's nearly impossible to even meet everybody. With this we all knew each other, we were all having inside jokes with one another, going through something together. It's like with "Breaking Bad," it was a family. You’ve said before you see yourself as a character actor. What is your ideal type of role be that's widely different from what you've done before? Aaron Paul: Anything with Kat, to be honest. I'll follow her anywhere she goes. Just something that's challenging and something that's honest. Do you ever see yourself going to the stage like Bryan Cranston has? Aaron Paul: I would love that! If they'll have me. [I've only done] high school stuff. I went to state competition and did some scenes from the movie "The War," which was such an incredibly written story. I was re-watching your cameo in Korn's "Thoughtless" music video and noticed that in it you're doodling characters similar to how Jesse draws in "Breaking Bad." Do you draw a lot? Aaron Paul: I do. I mean, I'm a terrible artist. I love going to restaurants that have the crayons, and I paint. I tar things -- I put tar on random sculptures. For example, I gave Vince [Gilligan] a gift. I made a mask, it's like, a head with a gas mask on it, but there's tar all over it. It looks like it's wet because I do this high gloss on it. It looks like it’s just melting. Aaron Paul: He's completely different. You think he looks like him? Maybe it's just the beanie. Aaron Paul: Yeah, he does wear a beanie sometimes. He's Todd, BoJack Horseman's human houseguest that just doesn't leave. He's this lovable, fun, happy guy always ready to help. He loves saying the word "Hooray." It's a really great story. The show is wrong on every level possible, but in a beautiful way and it has a lot of heart. Netflix has created such a binge-watching culture. Do you binge any shows? Aaron Paul: Yeah. I'm re-binging "Wonder Years" right now, Lauren [Parsekian, Paul's wife] and I are. I'm watching "True Detective." I did everything in two sittings, besides the final episode, so don't tell me anything. I had to wait until Lauren got back from her hike, she just climbed a big mountain. You can't binge TV cheat. 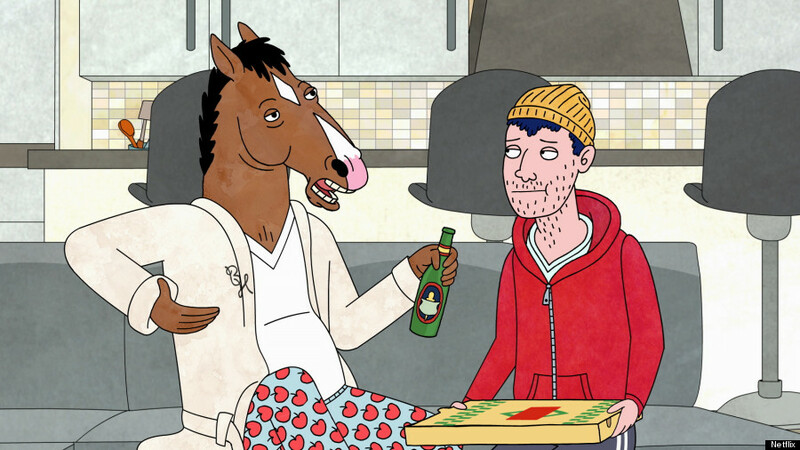 Is "BoJack" a binge-worthy show? Aaron Paul: Oh yeah. It comes out on a Friday and everyone that starts watching will definitely be done by the weekend. You'll laugh, you'll cry, you'll question ... a lot of things [laughs]. "Hellion" is playing in select theaters in New York and Los Angeles.